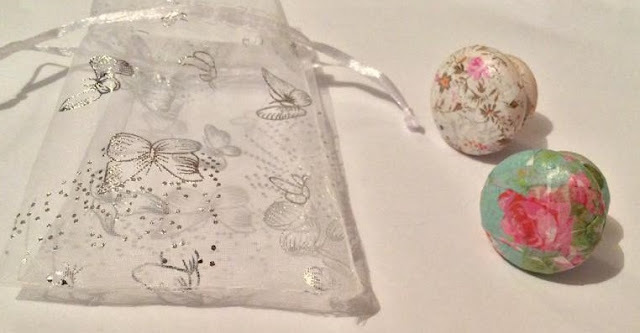 I received a very pretty package this morning from the lovely Kitsch Kats on Etsy. Laura from Kitsch Kats was kind enough to send me a few of her handmade items for review purposes. Kitsch Kats sells a variety of cute jewellery and home decor. The clue is in the name I suppose - if you're into unique and pretty products then you'll love this shop! The first two things that I received were two beautiful hanging hearts. One is floral and the other one is covered in little birdies. These are wooden and decorated using decoupage. They have a little heart shaped hole punched through them and some sheer ribbon threaded through so it can be hung up! The hearts are a lot bigger than I expected which is always a positive. I love decoupage and the designs on these are super gorgeous. The fact that these are wooden means they're pretty hard wearing as well, and they're decoupaged on both sides which is fab attention to detail in my eyes! Laura also sent me 2 of her drawer handles which came packaged in this lovely butterfly print organza bag. 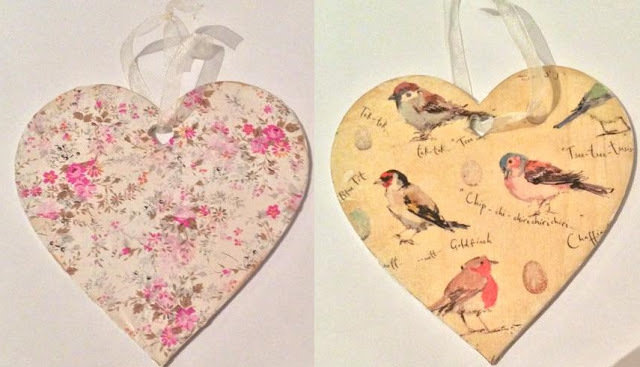 They are also decoupaged, both done in a floral design and they're made of wood. I'm pleased with these - they will look really cute in my home as they match my decor perfectly! 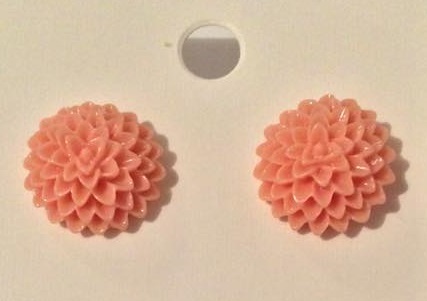 The final thing that I received are these cute earrings. They remind me of little sea anemones or something. I really like them, how cute! I love the colour as well, they're a pinky coral colour and super shiny too. I'm really pleased with everything from Kitsch Kats. Her decoupage has definitely inspired me to get crafting as it's all so pretty. Check out her Etsy shop here.